The winner of the ‘Best of the Best’ and the ‘Nicest Grooming Salon in America’ for 10 years! Our full-service Pet Grooming Salons in Aurora and Parker produce grooming that can be considered a work of art! As professional pet groomers, we believe that kind, loving treatment is the most effective tool for grooming your pet. Our pet grooming services are perfect for all breeds of dogs as well as cats. We are known for upholding an excellent standard of pet care professionalism. We believe your pet's experience should be relaxed and fun! 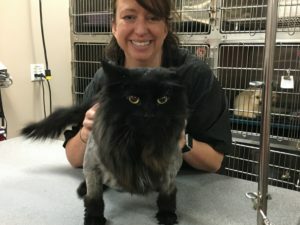 Our professional pet grooming staff regularly attends continuing educational classes so your pet can benefit from the latest styling, clip, or brushing techniques. Discount subject to availability and cannot be combined with any other offers. Bathing discount applies to first-time customers only and is valid for any bathing service selected in Aurora or Parker (not available on Mobile). Upgrades to full-service grooming are available for an additional fee. Please contact us for details. Call to schedule an appointment at our Aurora or Parker locations. 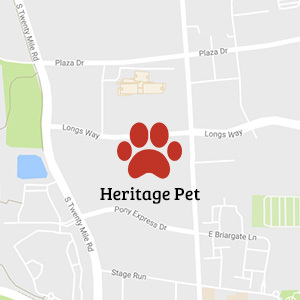 Upon arrival, you and your pet will visit with one of our talented groomers to discuss which style will best enhance your pet's appearance. Then together, we can choose an appropriate style. You may want a full haircut/style, or a Bath and Brush out with Trim or just a Bath and Brush out. 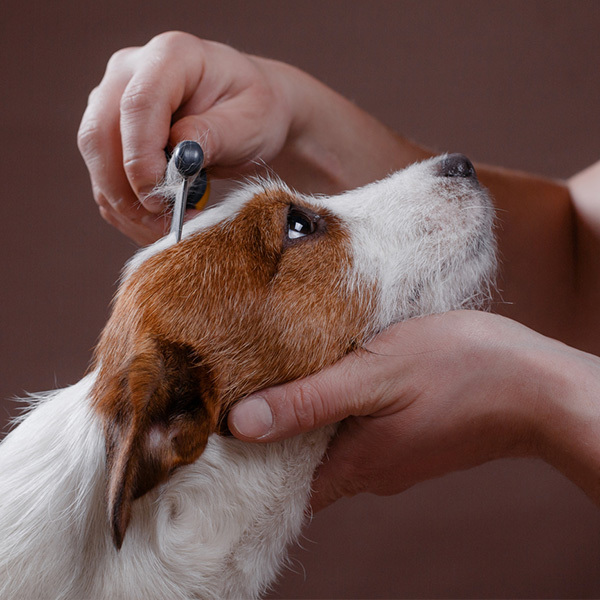 All of our grooming services include a complimentary nail trim, pad trim, private tidy up and ear cleaning plus we check your pets for dry skin, fleas, ticks, and general coat and skin health. Choose any of our add-on Services listed below for those pets who may need a little something extra. This treatment is designed for dogs and cats who are shedders. The brushing technique and specialized FURminator tool eliminates the undercoat of cats and dogs and reduces shedding by 60-80% after the first visit! Recommended every 4-6 weeks, the FURminator treatment has increased pet happiness and owner satisfaction over traditional bathing and brushing. The logic behind FURminator Shed-less Treatment is simple — the more hair you remove from your pet, the less hair you have to remove from your clothes, couch, floor, carpets, car, and home. Typical pet-grooming systems merely wash and comb your pet's hair without addressing the underlying problem, which literally, IS the underlying problem: your pet's undercoat. Your pet's undercoat can become a mass of loose, dead hair, and the major source of shedding. The FURminator was designed to grab and remove — not cut but remove — undercoat hair quickly and easily. Neither the specialized tool nor the process hurts your pet, and the all-natural de-Shedding Shampoo and de-Shedding Solution are great for promoting healthy skin and coat on your pet! 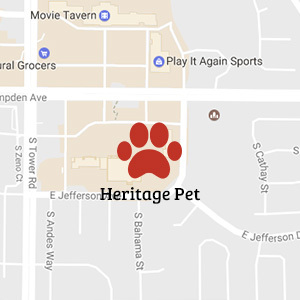 *Heritage Professional Pet Grooming is an authorized FURminator salon. 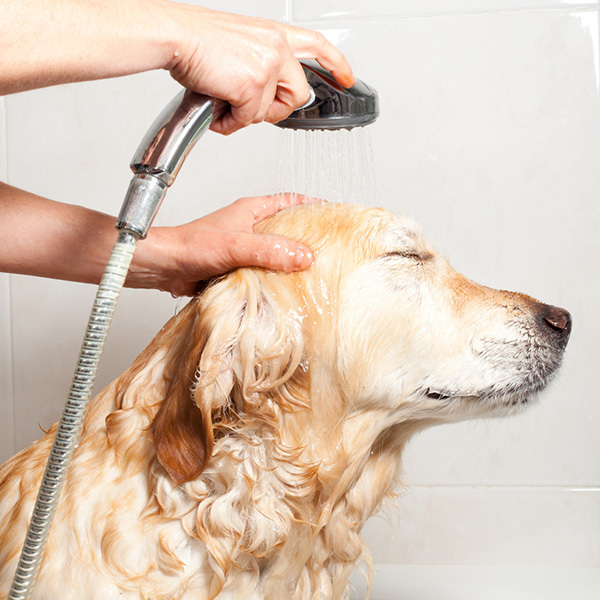 We offer many types of specialty shampoos and/or conditioners depending upon your pet's skin and coat needs. We have extensively studied skin and coat needs of dogs and cats and can usually recommend a solution for your pet's condition. We also work closely with your veterinarian and can follow their recommendation to best treat your pet. You are welcome to bring your pet's prescribed shampoo for us to use instead. Has your pet lost that sparkling smile? As part of our commitment service, we offer surface tooth brushing in the grooming salon. We use an enzymatic toothpaste and individualized brushes for your pet. Our toothbrushes are disposable to ensure your pet's dental care is always hygienic and healthy.